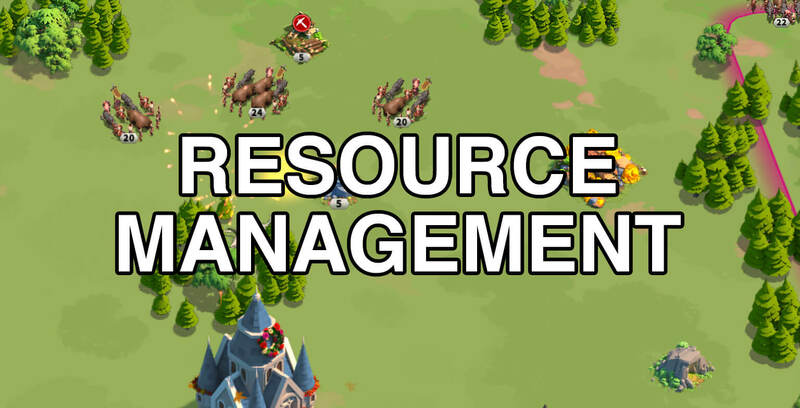 Managing resources is always one of the hardest part of not only Rise of Kingdoms but also all other games. Earning/Gathering resources is very hard, but using them the right way is even a lot harder! 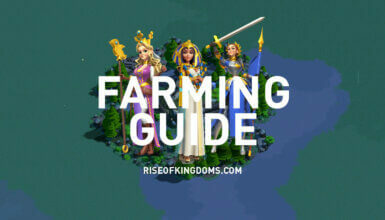 In this guide, let’s talk about some of the best ways to manage your resources in the game. 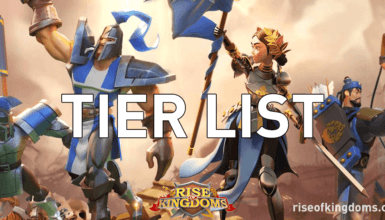 This guide is exclusively made for new players. More advanced tips for experienced players will be published soon! Resource Packages and Resource Chests. Individual resource items: Food, Wood, Stone and Gold. It is because you can use them when really needed (normally in War events) and you do not lose any of them If your city gets attacked. If you don’t have any resource item in your inventory, you will not have a chance to farm or heal during the War period. Use the backup resources to heal and train troops. This is also why you should always purchase the resource items in the Courier Shop. You will get the resources with discounted prices and be able to move them from your storage to your inventory. Always save your resource items! Purchase the Enhanced Gathering Speed Items from the Courier Shop or other shops. The Courier Shop always gives you the discounted price. Gather the runes that boost your gathering speed. Combining these two, your gathering speed will get significantly boosted. Also, remember that being VIP also gives you the gathering buffs (+20% at VIP level 11). If you gather the Gathering Speed runes while also have commanders gathering resources, the gathering speed will also get increased immediately, shortening the gathering time accordingly. These two activities in Rise of Kingdoms give out the most potential loots, even a lot more efficient than farming resources (loots per minute). If term of resource gained, farming Barbarians is a lot more efficient than farming Barbarian Forts. You should only focus on farming Forts if you want to get more Book of Covenants or want to get rewards in defeating Fort events. Always finish the daily quests to get these rewards!